Summoned is the debut novel of Verity Moore. It is a YA Fantasy novel. 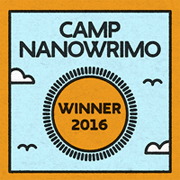 The Prologue caught my attention and drew me in. However, as I read the first chapter, I felt the pace seemed slow and my interest waned. Not one to give up on a book too quickly, I continued to read and was thankful that chapter two was much more interesting, and from chapter two to the end I was hooked. Summoned had lots of adventure, danger, and excitement to keep me turning pages. I really enjoyed the male main character, Kyam and his dog. For me, these were my reasons to keep reading. As a dog owner and lover, I love the almost human qualities attributed to the dog, Castoff, in this story. I also admired Kyam’s loyalty, faithfulness, and determination, even in the face of disappointment and rejection. Cierra, the main female character, seems to have to learn her lessons the hard way. She is stubborn and independent and often self-centered. The contrast between her character and Kyam’s make for some humorous and interesting scenes. I was disturbed with one scene where Verity Moore mentions a flock of birds, then tells how the birds fly, and she calls the birds “emu”. Emu are a real bird, native to Australia, and they do not fly. When the book ended quite abruptly, I was disappointed. I don’t know why the book ended so quickly and abruptly. It is considerably short for a Fantasy novel, coming in at a mere 153 pages. Most Fantasy novels I have read are more than double that page count. Another disappointment came in the back of Summoned where a page lists Pursued and Besieged as the two other books in this trilogy and says they are all available on Amazon. However, neither Pursued nor Besieged is yet available. 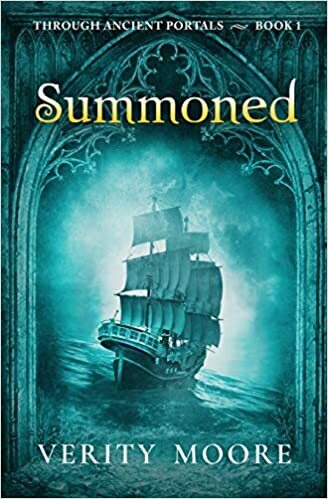 Although Summoned wasn’t what I expected, I did enjoy it and look forward to reading the next book in the trilogy, and I hope the wait isn’t too long.